Facing Charges in Ventura? We Can Fight for You! 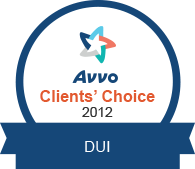 After an arrest, it is essential to have the right attorney protecting your interests. The choice you make for legal counsel is an important decision that must be made quickly so as to begin an immediate investigation into the allegations against you. Retaining an experienced Ventura defense attorney with the background I have will greatly assist you in preserving your rights and protecting your future. In many cases, an attorney is one of the greatest deciding factors in the final results of a case. My name is Adam L. Pearlman, and as a former Senior Deputy District Attorney in the Ventura County District Attorney's Office, I handled over a thousand criminal cases with a success rate of over 90%. For over 25+ years, I have practiced law; this experience has allowed me to provide my clients with the expertise they need when facing a criminal charge. I provide hard hitting defense for those facing a conviction, arguing their case before the court and seeking to protect their rights. I have handled thousands of cases over the years and I would gladly put up a fight for your case as well. I can help protect your rights and fight for your best interests. To learn more about the assistance that my firm provides and how to retain the services of a serious and aggressive lawyer. I would strongly urge you to call the Law Offices of Adam L. Pearlman. Part of the legal process you may face involves arraignments, preliminary hearings and other court related matters. I have extensive jury trial experience and have conducted hundreds of these types of court procedures. I am also very familiar with the prosecutors and have a unique insight into how they think and make their decisions. This will enable me to provide you with the dedicated and knowledgeable defense you will need. I can provide the resources to fully examine your case and investigate the charges against you in order to challenge any evidence obtained illegally. A conviction can result in fines, probation, community service, and jail or prison time. Don't let this happen to you. Your freedom and future are at risk, so you must call now to get the help you need. As an experienced lawyer well-versed in all aspects of criminal law, you are highly advised to take advantage of the services that my firm provides. I understand that the penalties and personal consequences of a criminal conviction can ruin an individual's life, which is why I strive to provide the highest quality of representation possible. 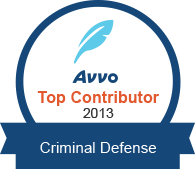 Defending an array of clients in virtually every type of criminal offense, my firm is ready to take on any case. I have handled thousands of cases over the years and I would gladly put up a fight for your case as well. I can help protect your rights and fight for your best interests. To learn more about the assistance that my firm provides and how to retain the services of a serious and aggressive lawyer, I would strongly urge you to call the Law Offices of Adam L. Pearlman. I understand that the penalties and personal consequences of a criminal conviction can ruin an individual's life, which is why I strive to provide the highest quality of representation possible.